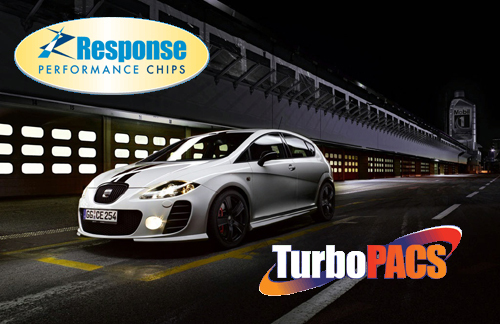 Responsechips is Turbopacs prestige range of ECU enhancements and are based in Durham in the North East. Responsechips are Durhams Remap & Remapping Specialists providing high quality software upgrades. 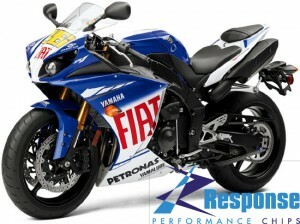 This is all supported with 3 Dyno,s or Rolling Roads providing verified results for cars and bikes. The professionals tool. 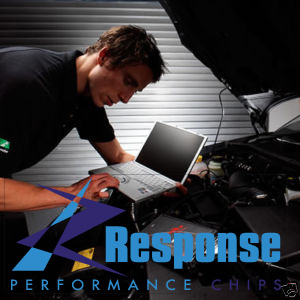 Responsechips Are a Must for Customers who want to Unlock their vehicles Performance and Economy Potential & remove their troublesome DPF filters via remapping! So What Can We Do For You Then ? Our Hard Cut Limiter programs the ECU to cut fuelling at a set RPM (normally 4300rpm) making the revs bounce off the limiter! This is normally available for cars from VAG Group but we can consider other vehicles once we analyse relevant diagnostic data. If a pd Diesel engine starts easily and quickly when cold but struggles to start when hot, this is described as a Hot Start Problem. These diesel engines are started by an ECU and not by the driver. Pressing the accelerator pedal has no effect during a starting procedure. Starting is actually controlled by a ‘starting map’ in the ECU and is based on starter/engine speed (rpm) and injected fuel quantity (iq). Generally, the ECU will not allow start fuel injection until the engine rpm is above a fixed map value. Such problems can occur from low battery charge, engine coolant temperature sensor faults or the starter motor itself. However, the problem may be the actual Hot Start Map within the ECU. O2 Delete remaps are for those who have fitted either sports­cats or de­cat pipes within their exhaust system and are subsequently having problems with the engine light being triggered due to emissions faults for error codes P0420 and P0430 (Cat efficiency). We can solve this problem by disabling these checks within the ECU map. Our Launch control Software manages the amount of power to the wheels optimum traction is achieved. From 2-4 MPH the RPM is limited to 2500-2750rpm. Once the pre-determined speed is reached the RPM Limiter will automatically move to normal RPM and from that point maximum power is allowed. MAF deactivation is not recommended as it is a very important sensor for fuel regulation, but sometimes (normally on high powered tuned cars with bigger turbo/injector modifications) the MAF reading hits its maximum value and touches the maximum allowed voltage read by the sensor making a fault code in the ECU and places the vehicle into a safe mode (limp mode). RPM data, and a table of volumetric efficiency over the operating range of the engine, the MAP sensor can be used by the engine management computer to calculate fuel requirements. Many vehicles are programmed with a top speed limiter. Our speed limiter removal software allows the vehicle to reach its top speed. However, we are mindful of international road and highway laws and take the opportunity to stress our service is intended for track use only. Many people do not like modern Start/Stop systems (which turns off the engine every ­time they stop), but it’s becoming increasingly common on new vehicles. Normally, there is a disable button, but this has to be re­set every ­time the engine is restarted. With our Start/Stop Disable ECU remap, the function is disabled permanently. Intake manifold flap failures are common on certain groups of cars and are expensive to replace. Our software can be used as part of a flap removal operation without causing fault codes or engine management lights. Economy Responsechips & Remaps, DPF removal, Commercial Turbo Diesel Remaps & Now Motorbike Remapping, Responsechips Can do it all. Saving Fuel with Responsechips is essential when dealing with soaring fuel costs & DPF maintainance with Hydroflow is an area that is growing dramatically and we are there up front ! With our Rolling Roads we can cater for custom Responsechip and performance chips for cars and motorbikes and provide before and after performance figures. Remapping modern Petrol & Turbo Diesel vehicles for performance or economy or DPF removal, rarely involves chip removal, and even OBD remaps are destined to be a thing of the past. However as we have been tuning vehicle since the early 90s we have seen it all and chip replacement, OBD tuning and now on the bench tuning. The more complex the project the better. 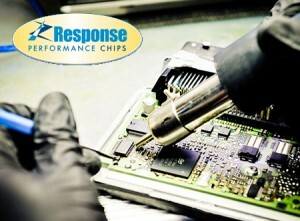 If High Quality software is top of your list, then A Responsechips Remap is the sensible choice for you ! What ever vehicle you drive or ride we can help you unlock its potencial…we have a huge listing of power graghs…just send an email and we can send you one.